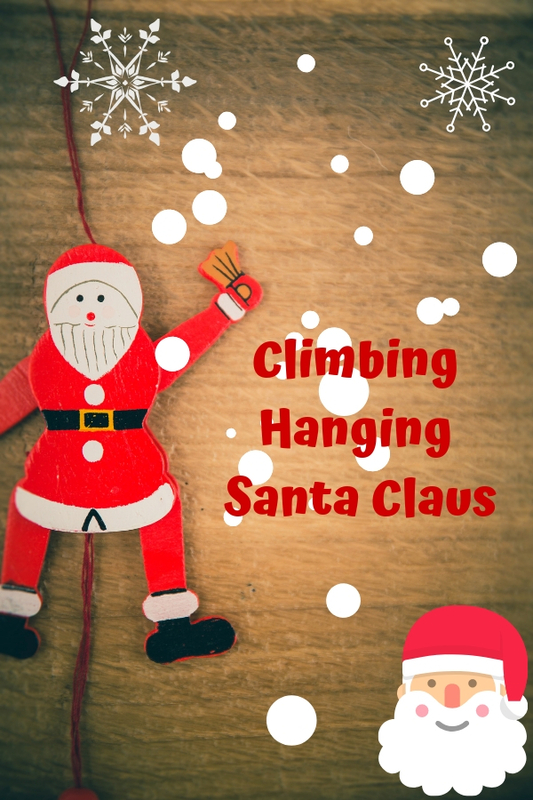 As the title implies, you’ll find climbing hanging Santa Claus that great for your house decoration. Some of them are smart choice for you to complete Christmas tree decoration while some of them are suitable to hang on windows, fireplace or stairwell. Almost everyone knows the story of this bringer of gifts regardless you call him St. Nick or Father Christmas. By having this jolly Santa Claus as part of your holiday decoration, it surely boosts up the festival ambience and let you all immerse with holiday mood. Each of them features different size to cater your decoration needs at different area. Anyhow, it is for sure that all of them come with a gift sack for you to create a scene for depicting a jolly Santa is coming to town and giving gifts to kids. What the adorable ornament! The Father Christmas figure features a classic costume that adorn with golden tiny stars. The gold gift sack is perfectly matches its attire. You just can’t ignore this ornament if it is being used as part of holiday decoration. This is another choice of pendent Christmas ornament which features exquisite facial expression for you to embrace the excitement of holiday. It also features a unique costume and hat to make it outstanding among the others. Well, you may feel boring if your home do not fill with holiday music. Let’s grab this ornament to liven up your Christmas. This lovely Santa Claus is singing Christmas music while he is moving up and down the bead chain. Instead of rope, ladder is another approach for Father Christmas to move up or down. He never forgets his gift sack and steady moving upwards. I found that this ornament is great if let it pendent under roof top as the picture. It would create a stunning eye catching substantial decoration at Christmas time to cheer every passersby. If you found that a single St. Nicholas figure is a bit bore, then this hanging ornament definitely is ideal pick for you. There are two lovely St. Nicholas figures made with oxford fabric climbing up a white rope ladder. Both of them carry green color gift sack on their back. Well, if you still not satisfy with this adorable hanging ornament and prefer the most vivid type, then do not hesitate to grab an animated Santa climbing ladder by carrying a string of LED lights.